A BOOK IS BORN: Mary-anne Scott with her debut novel Snakes and Ladders. This talented Havelock North woman is now a published author. 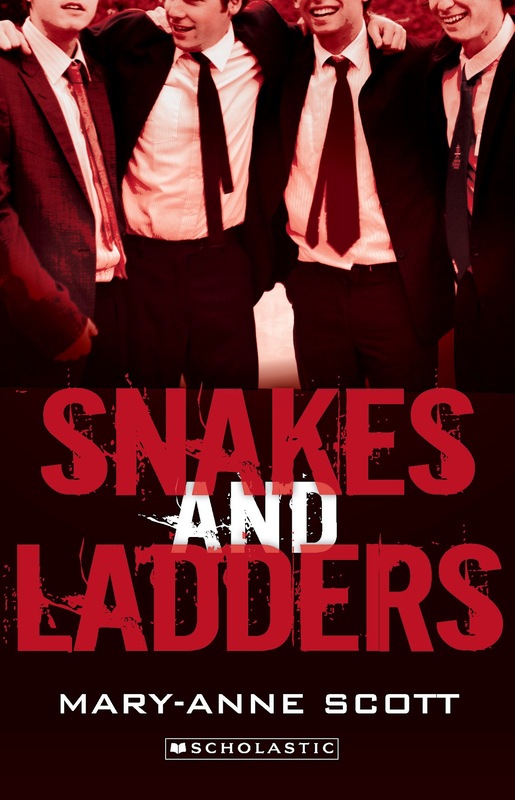 Her book Snakes and Ladders, aimed at teenagers, particularly males, has been released to coincide with the ball season. It tells the story of Finn Fletcher who lives in a remote coastal town (a little like Te Awanga), his family and his friends, both male and female.When he is given the opportunity to board at an elite school in Auckland he is both nervous and excited. The story follows Finn as he meets new friends, encounters bullies, tries out for sports teams, plays in the symphonic band and prepares for the ball, all the while keeping a terrible secret. With four sons and 20 years teaching cello and guitar at most secondary schools and some primary schools in Hawke's Bay as an itinerant, Mary-anne is well versed in the ways of teenage boys. "I love the humour of teenage boys. They always make me laugh. When a group of them get together they seem to have a lingo all of their own," she said. "They don't hold a grudge, even if you have to tell them off. I love being around them." Mary-anne has always loved reading and writing. That's no surprise when you consider her mother is Joy Watson, author of the famous Grandpa Slipper children's books. "Books, reading and writing have always been a part of my life," Mary-anne said. "And Finn has been in my head for years. I just wasn't sure how to go about writing a book. I actually said to my husband Paul 'I should get a real job. It's a bit flaky being a musician and a writer'. Lucky for me he is very supportive and as Stephen King said, 'you only need one person to really believe in you' and for me that's my husband." Determined not to give up on her dream Mary-anne went to a creative writing course at EIT which "gave me the impetus to start writing short stories". Her next step was applying to the NZ Society of Authors Creative NZ for funding. She had to submit four chapters of her book. She was accepted and children's author David Hill was appointed as her mentor. "Those four chapters are virtually non-existent now," Mary-anne said. "My book is very much character based and my main character didn't act as he was meant to. I really didn't know what Finn was going to do next." Her book touches on some controversial subjects, such as drugs and drinking. It also explores peer pressure and the absolute fear of being singled out. "As any parent will know, school balls can be a nightmare for some and a night out for others," she said. "Teachers and parents hold their breath till it's over." Mary-anne submitted Snakes and Ladders to publishers Scholastic just before Christmas in 2009, so it's been a long wait for her. "It was a weird feeling seeing my book in the bookshop. I'd waited so long, but I guess it was just another day really. The soup still boiled over and life goes on." There's more to come from this humble woman. She has been attending Whitieriea Wellington Polytech once a month for the past year. Part of the curriculum was to have a completed book at the end of the course. All she would say was that it was about a teenage dad. Here's hoping we don't have to wait another two years for more from this Hawke's Bay writer. Tuesday Poem - a gun to the temples? Is this the next “50 Shades of Grey?